We’ll visit old bars of Chicago, many preserved in original condition, that were open during prohibition in the 1920’s. Enter by way of the “secret” entrance and enjoy one of the same cocktails ordered by the infamous Chicago gangsters & bank robbers at these venues nearly a century ago. Al Capone’s personal favorite was “The South-side.” Relive the glamour of the 1920’s while listening to stories of the rampant racketeering and bootlegging of the era. 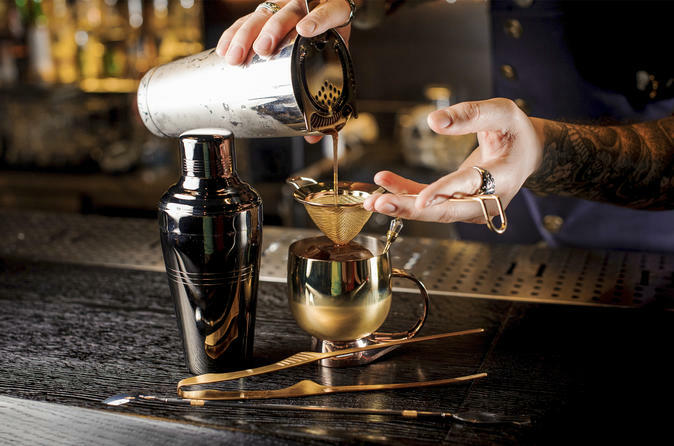 This tour will visit several of these historic venues still in operation as speakeasies today in and around the Chicagoland area. The tour guide will tell the history behind and make recommendations for prohibition era cocktails, but the price of food and/or drinks is not included in the price of the tour. Dress is fancy casual or… For fun, you are welcome to wear period clothing like your Guide.